Sara Japanese Pottery: Malcolm Wright Exhibition 5/16 Fri.-18 Sun. 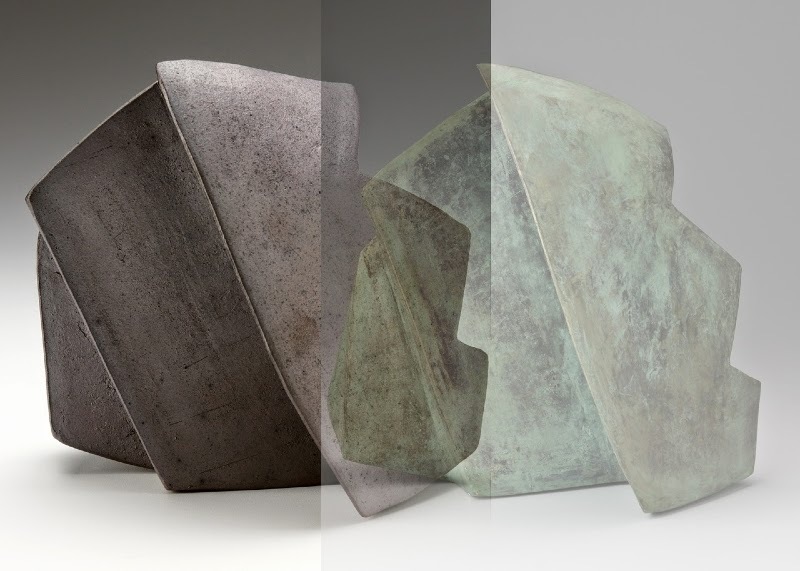 "Transformations into Bronze"
Malcolm Wright Exhibition 5/16 Fri.-18 Sun. "Transformations into Bronze"
May 16th Fri. - 18th Sun. We are pleased to announce that Sara Japanese Pottery will present the forth in a series of event to celebrate our 25th years anniversary. This exhibition will feature the one of our significant artists, Malcolm Wright. To describe Malcolm Wright. We have known each other for nearly 20 years. At his home in Marlboro, a town near Brattleboro in southern Vermont, is his studio, a climbing kiln, his house, and a gallery space, an extension he built several years ago. He and his wife have a collection of modern furniture, ceramic artwork from friends, as well as his own artwork on display. "When you become my age, it's normal for people start getting rid of their collection. For us, our collection keeps getting bigger and bigger." He told me once laughing. This year, Malcolm turns 75 years old. As a karatsu style potter, Malcolm is certainly among the principle artists in the history of American ceramic arts. Born in Minnesota, he went to Japan in 1968 to apprentice under karatsu master and living national treasure, Tarouemon Nakazato, the 12th (Muan). During this time, Malcolm worked together with and became heavily influenced by his fifth son, Takashi Nakazato. In 1970, Malcolm returned to the U.S. and built a home and kiln in Vermont. He continues his work in the style of karatsu, but in fact Malcolm is a sculptor with a certain characteristic sense. His recent works are sculptures that are also his own personal projects. In fact, he spoke of recently working on large acrylic sculptures. Once looking out from his window I could see clearly three tall and narrow rocks sticking up out of the ground. "Malcolm, what is that?" I asked. "They're rocks," he simply replied and laughed. Now exposed to the rain and wind, moss has covered the rocks creating a beautiful surface. To me, this is also one of his artworks. Malcolm’s sculptures skillfully enmesh clay pieces that he puts through an extruder. He shapes and sculpts the clay, showcasing Malcolm’s unique characteristic style. As the process continues, he told me that it has became more complex that even he struggles to understand its meaning. This show will focus on his bronze transformations, as well as some of the original clay forms. Of the bronze models on display, some will be at the original scale, and some will be enlarged at double the scale. Please come and see the similarities and differences between the two materials. Come and see the "present" Malcolm Wright at our show. Sara opened in 1989 specializing in Japanese dinnerware created by both Japanese and American artisans. Not only does Sara carry works created by well known artists, we also have a deep commitment to bringing up-and-coming artists' work to light. Sara isn't limited to just ceramics but also glass, bamboo, textile, lacquer and even iron sculptures. Our goal is to introduce masterful works of art to be enjoyed by everyone. Through this web site we hope to keep you informed about new works, as well as upcoming events such as the exhibition, "Connecting through Clay, Karatsu Pottery", Sara held in New York in 2005.